Disney Dream has an extra day at Castaway Cay due to concerns over the path of Tropical Storm Arthur. 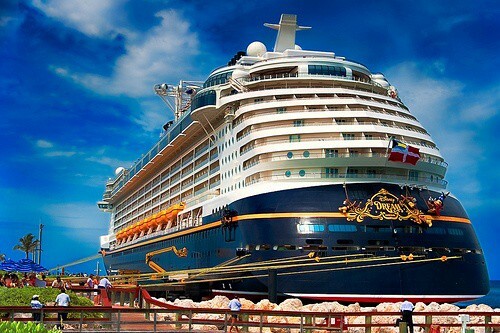 The Disney Dream was due to spend the day at Sea but the Tropical Storm has prompted Disney Cruise line to alter it’s course to be safe and avoid the rough seas. The Disney Dream is on the last day of a 4 night Bahamian cruise and will sail back to Port Canaveral as planned tomorrow. The Disney Fantasy is in the middle of her 7 night Eastern Caribbean sailing. There are no current plans to change course and she will return to Port Canaveral on Saturday as planned. Disney cruise line always has the safety of guests as their first consideration and so will be keeping a close watch on the progress of the storm which is expected to move north away from the scheduled routes of the Disney ships. As for the guests on board the Disney Dream we doubt that any of them mind a return to Disney’s private island Castaway Cay. This unexpected ‘Double-Dip’ will be a very welcome addition for them!